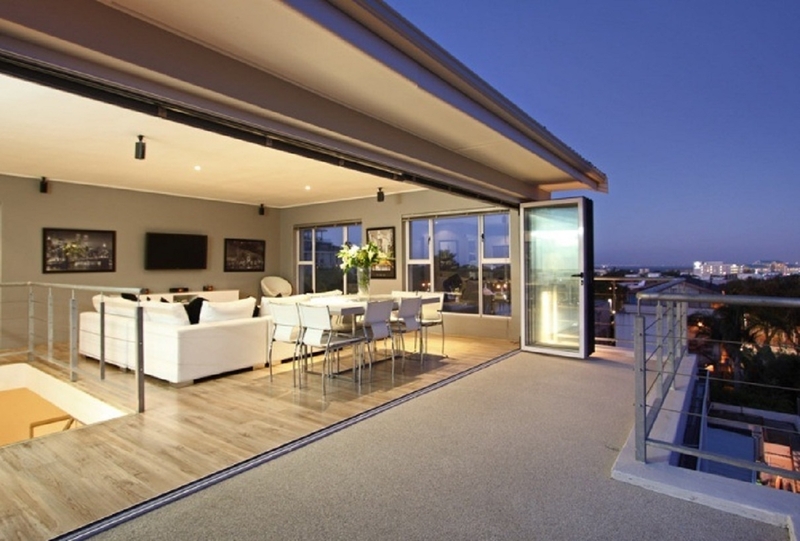 This 3 bedroom Penthouse offers stylish living in the heart of Green Point! The entrance level of the penthouse is home to the bedrooms which wrap around the east-facing corner of the building. Two of the bedrooms have big, en-suite bathrooms - one with a giant shower, the other has a large bath as well. You'll find yourself drawn to the top floor. The lounge is an inspired use of space, combining expertly designed furniture and crisp modern lines to create an area that's both chic and comfortable. Large glass window walls open out to views of the city and mountain. Flowing on from the lounge, an open plan kitchen offers all the modern conveniences. Outside is a large deck where you can entertain or simply relax taking in the views of the city and Devil’s Peak. Green Point is a great location from which to enjoy the city and coastline. The Penthouse is within walking distance to Woolworths, some local restaurants and boutique shops). The V&A Waterfront, Green Point Stadium, the Park and the Promenade are all a stone’s throw away. This holiday rental would be a perfect match for guests who love the city buzz, being in the centre of the action or who are attending a concert or event in Cape Town. There is also the sparkling new pool area, which will be an absolute pleasure for guests on those hot summer days. Open plan, fully fitted with dish washer, washing machine and tumble dryer. Large balcony with city views. Master bedroom: King-size bed and en-suite bathroom.